"My face was practically glued to the airplaine window as we landed - this island was unlike anything I've ever seen. I instantly fell in love with Siargao." The morning of the flight had finally arrived. I'd been waiting for this day for what seemed like absolutely months and finally it was here. In another timeline, I would be heading to Taiwan today, followed by Korea. But not in this timeline, oh no. In this one, I decided to go with my gut and forfeit my flights that I had already paid for - all for the island of Siargao. I didn't make this decision lightly, and it put a certain expectation on the island that it didn't have before. Would it be better than a trip to Taipei and Seoul? Would I have a better time, and would it be more relaxing? Was it worth it? 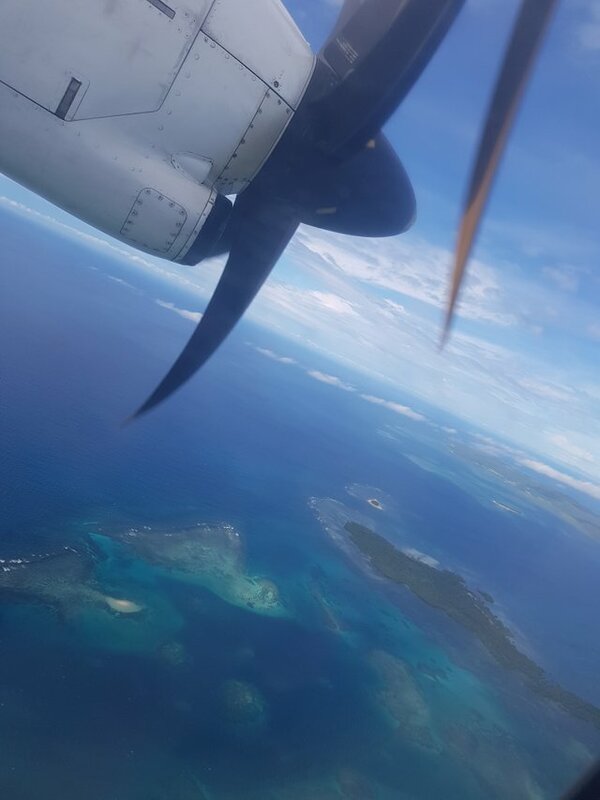 All those questions were coursing through my mind as I put the seatbelt on in our tiny propeller plane and we left the runway at Manila - straight for Siargao. 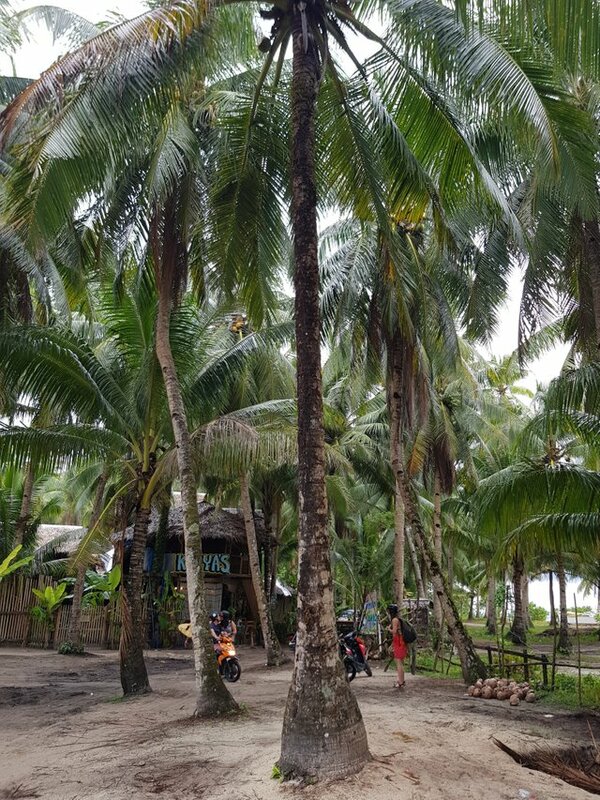 Flying in the Philippines is usually quite cheap, but Siargao is usually rather expensive as its not an island that has many flights to per day. However there are some promotions that you can snap up if you're subscribed to the Cebu Pacific mailing list - the flight should have been about £120 ($150) but instead I nabbed it for a measly £40 ($55)! Ready to land our tiny propeller plane! In all honesty, I would've paid even £120 for the flights just to get to this island. As we started to descend, it was clear that this was going to be a spectacular trip. I looked out the window, and gazed at the crystal blue ocean - and suddenly Siargao island came into view. First the white beaches that lined seemingly the entirety of the island. But what got me was the palm trees... hundreds, thousands... no tens of thousands! Lining the entire island, each of them casting beautiful shadows on the palm tree behind it. I thought I knew what paradise was, but clearly I was wrong. This was it. Suddenly my feet were getting restless - I needed to get off the plane. We finally landed and I was given the opportunity to be free on this island, I was like a kid in a candy shop. A companion I met on the plane and myself joined together and hired a van that took us into General Luna from the airport, which was the main town located approximately an hour away. It was still early, and the sun was shining down onto the palm tree-lined roads that lay before us. I didn't know where to look, where to turn my head. Everything about this place was gorgeous and utterly bliss and I was at that moment lost for words. 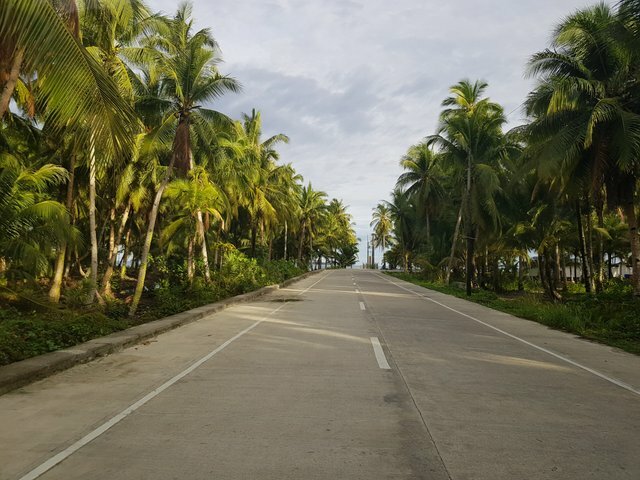 The roads of Siargao at sunset. Bliss. We finally arrived at my hostel and I bid farewell to my companion as the van dropped her off at her own hostel. I had arrived. On the road were bikes with surfboards driving past, almost every 10 seconds, alongside tricycles dropping off locals in the town. It was bustling, and people seemed very relaxed as they sauntered down the road, some with surfboards under their arm ready to catch their first wave of the day. However I didn't want to surf today, that was for next time. Today, I wanted to drive. And drive. And keep driving. One, to get some good photos of the palm tree forests while the light was good. Two, to get used to the roads while I was here. And three, simply to explore what this amazing place had to over. I headed onto my hostel, which was located down a pretty narrow alleyway but not too far from the main road. I arrived at huge blue gates with a sign "Footprints Homestay" - I was finally here. Before I could knock, two guards, each wielding a shotgun (very surprisingly!) opened the door and let me in, and in a matter of seconds I was welcomed by the staff there. Christine, who worked as a tour guide there, showed me to reception where I paid the very cheap $10 per night (and $5 per day for the motorbikes) to stay in one of their dorm rooms. She then showed me to my bed and met my hostel mates for the week, who were some very cool, relaxed people. Then I heard the roar of an engine outside, my chariot awaited. 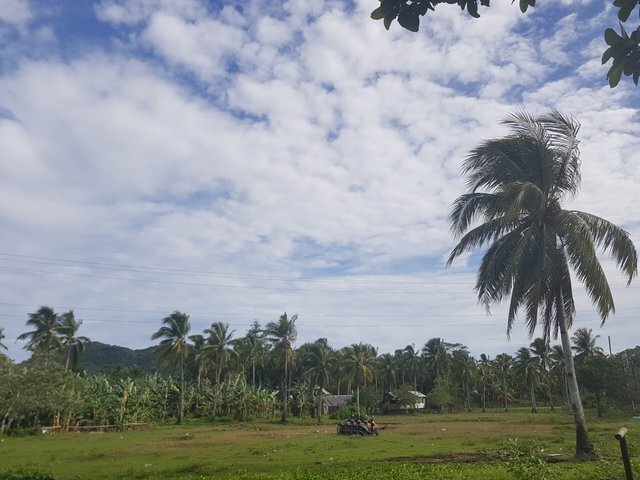 Without wasting anymore time, I hopped on the motorbike and drove around the town, my smile beaming cheek to cheek as I struggled to comprehend how beautiful this place really was. I mean... look at it! Flying my drone through the palm trees. There is so much to see in this place, but I really just wanted to feature the striking palm trees before I said too much. This was truly a jam-packed trip and I want to write about it as much as I can, but for now I want to leave you with these pictures. P.S. I apologise for how excited I am for these trees.... I mean look at them, do you blame me?? Hard work and dedication. Where are you from? I'm sure there are stunning areas in your country too nearby. wow. Your trip seems so cool and interesting. Aw thats awesome where abouts did you get to? So glad you enjoyed the Philippines, it's becoming a true backpacker destination! Glad you're adding it on the list! Very good, i love yours posts. waoo grandiosas imágenes,meda ganas de viajar a filipinas me alegro por ti. Great. It seems so cool .Interesting and i hope really it was a beautiful trip. I agree! It's more fun in the Philippines! I just visited Palawan and I fell in love. Will definitely go back and explore more places in the Philippines.. Siargao is also in my bucket list! Thanks for this bro! Wow! My own country, but never been yet in Siargao. I heard to Siargao is really paradise. I've been 2 yrs. ago in Bohol(Panglao) & Davao from Germany with my family. My husband & our daughter was the first they visited Philippines & they fell quickly really inlove in Panglao Island & in Davao. And they really want absolutely that we go back in Panglao when we will be in the Philippines again. Really wonderful felt like we were in paradise. With over 7,000 Islands that Philippines has, there are really abundance of wonderful islands to visit. And I'm so glad you enjoyed it. It is indeed, love it. Are those trees just decor or they have a coconut for coconut juice? Ugh! I wanted to go there. How did you discover the place? They all have coconuts actually, its awesome. And I just overheard it and looked it up, was well worth going to! Your UA account score is currently 3.263 which ranks you at #7889 across all Steem accounts. Your rank has improved 179 places in the last three days (old rank 8068). In our last Algorithmic Curation Round, consisting of 284 contributions, your post is ranked at #138. Wow! I very like this bright photos! Actually for the most part unedited, I'll reserve my edits for Steepshot I think but I'll put some here too :) Glad you like them! Nice story. Whole Asia is so beautiful. Wonderful views with untouched nature. You should check out my diary-like story from travel to Gdansk, Poland. Much appreciated, it truly is a special place. Thanks! Haha yeah it does, weird how the framerate of the phone recording matches the propeller RPM to create that weird effect! Wow, what a great article. Loved to read it! HOLY. 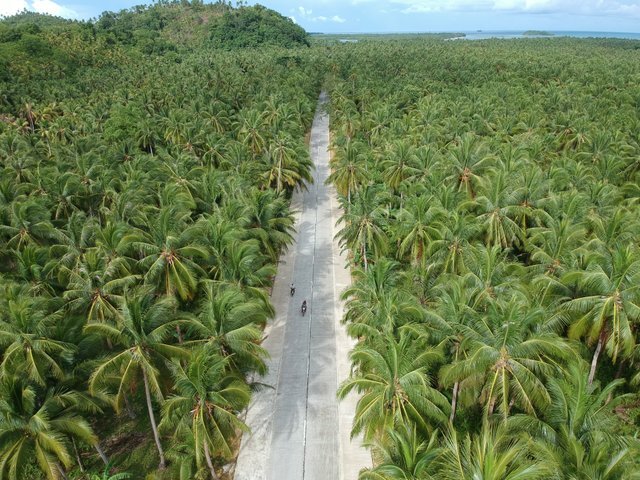 Siargao looks UNREAL!! Thanks for putting this together. Getting super keen to visit! This is just the tip of the iceberg too! I have a lot to share, this island honestly changed me and its the first time I've ever though of quitting my job and just living here seriously. Glad you enjoyed!! Ooo you surfed! How did you like Siargao?? Off course everyone wants to go there. Man! The earth is so huge. A lot of place to visit. Thanks so much buddy, I will definitely keep on posting so long as you guys keep enjoying the content! 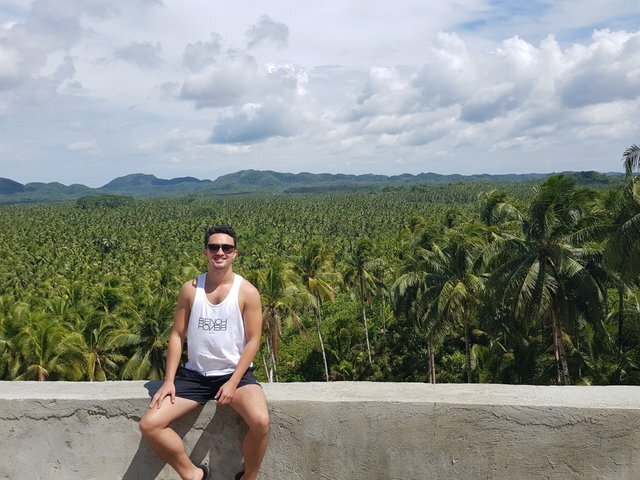 There's nothing more humbling than people eyeing up the Philippines to visit because of the blog, I'm just glad to have shared the experience. Thanks so much for stopping by. Awesome place! 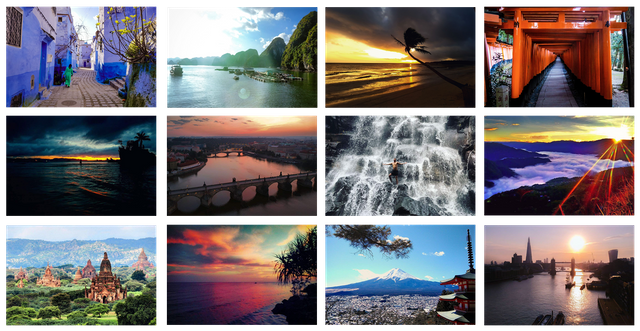 Very good photos. Thanks for sharing. Much appreciated bud, thanks for stopping by! I ve been on a surf trip to Siargao Island in 2010, loved this little island, great waves, friendly locals. Wow. 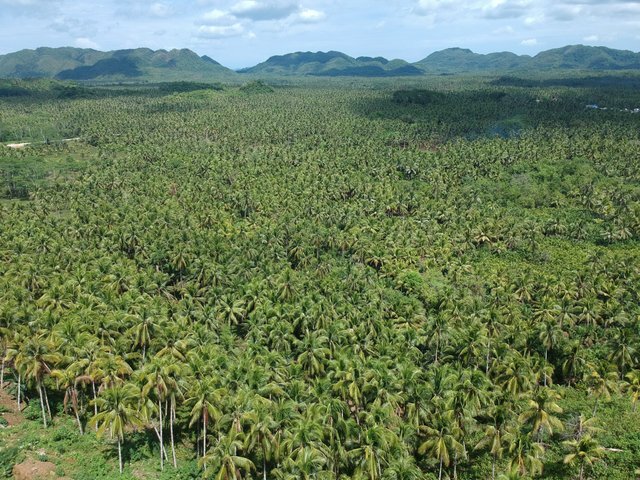 Those are amazing palm trees and great drone shots. Thank you for sharing. This is really such a wonderful place. Good photography! Thanks so much - much appreciated! Beautiful picture .. You made this place a center of attraction for tourist... I'll plan visiting..! So many palm trees, I love it! Never apologize for loving trees / nature. Nor for expressing the beauty of nature or your love of it. 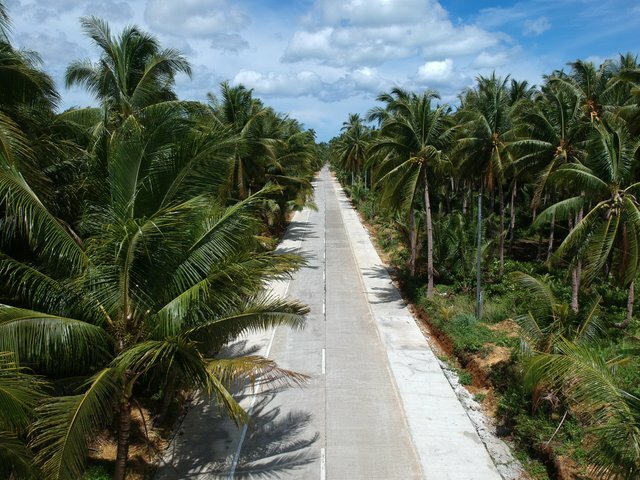 I always remember riding on a narrow rode through jungle to get to my guesthouse on the far tip of the Moalboal peninsula (Cebu). And, another time, hiking into the jungle to get to a quaint but comfortable, govt-sponsored village for tribal residents. It seems like everywhere I went, there was lush greenery. No you're right - I think I was almost giddy from excitement when I arrived and I just had to share it with everyone here. Ooo Moalboal, I've been! But never by narrowboat, that must've been an absolute adventure wow. And you went right into the jungle? That's impressive, how do the locals find visitors? I'm sure they welcomed you with open arms. I really have to do that too one day, that'd be so cool to be right in the nature. Thanks for giving me your experience, and I'm so glad you enjoyed the Philippines! The tribal village was just a 30-40 minute hike from the end of the road. The people were very pleasant and interesting. Their homes were simply structures, but quite new, neat, and clean. They also had electricity and some water lines. There was a simple school, and I met one of the schoolteachers, a pleasant lady who was clearly adored and respected by her students. When I went back to the nearby city, I came across a used-book shop, where I found a stack of children's books in English. I bought a small stack of books, and brought them to the school. Hope you're still enjoying the lush greenery. I totally get your excitement about this stunnig place!. Is just breathtaking! I been living this year in Bali, indonesia but I didn't get the opportunity to go to this place. Is the next on my list! I think that Philippines is one of the best places for traveling. Bali is a really good place to live - really cheap villas right!? I had an amazing time there, where abouts do you stay? And yesss defo visit and ask me for advice when you do go if you want! Happy to help. Glad you liked them man!! Thanks :) I will do! A typical tropical paradise! 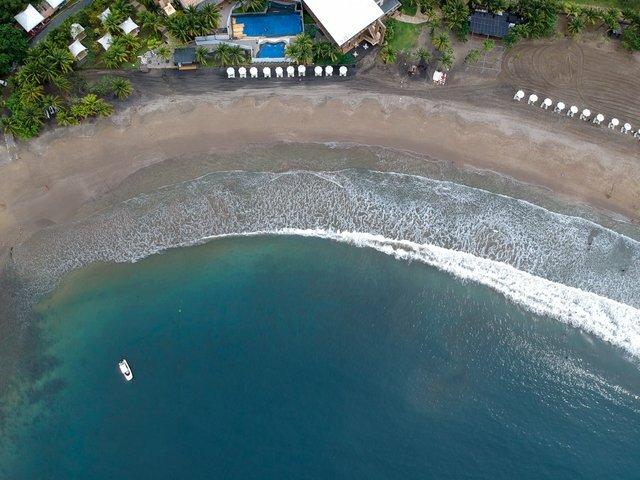 The aerial view looks great. Can't wait to finally have the chance to visit this place. Tropical paradise just about sums it up. Hope you get the chance to visit too! You got a 4.31% upvote from @booster courtesy of @seetheworld.sgp! This post has received a 9.36 % upvote from @boomerang. You got a 17.40% upvote from @dailyupvotes courtesy of @seetheworld.sgp!